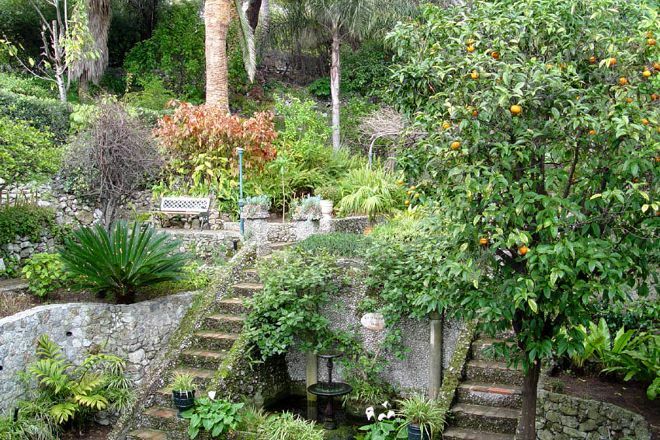 Created as a recreational area for off-duty British soldiers, Gibraltar Botanic Gardens (The Alameda) welcomes tourists and locals wishing to escape the heat or simply take a leisurely stroll. British Governor George Don commissioned a walking path around the main square in 1815, which was later expanded into a network of paths and terraced beds. In the first half of the 1990s, the neglected gardens underwent renovation, at which point a zoo was added to the site. Apart from the four howitzer cannons guarding the bronze bust of General Eliot, the gardens boast an open-air theater that can also serve as a wedding venue. Add Gibraltar Botanic Gardens (The Alameda) to your Gibraltar travel itinerary, and discover new vacation ideas by using our Gibraltar road trip site . It is a nice park or large garden for walking through it, but that's it. The place has clearly maintenance and makes a messy impression. Have good shade when it's hot. Beautiful laid out gardens so many different features. I spent 3 hrs meandering about taking everything in and photos. Take a picnic and just relax. William. Have a good visit. Tara for now. Lovely place for a stroll, a picnic and even a photoshoot! There were various wedding parties on the Saturday we were here so we couldn't see it all but it was very pretty. I got to see some rare flowers I couldn't see anywhere else! Totally cool, we wondered around here for hours, there are many species of flowers I have never seen before. Also again a great feel of history and really quite tranquil. We were only sorry that we hadn''t brought a picnic as this would be an excellent spot to enjoy with families and couples. Very nice and lovely garden. Everything done with love! Relaxing environment! None of the plants, trees or shrubs were labeled. The picnic area looked as if it hadn't been cleaned in years. Really not worth the effort to see. Every day, we help thousands of travelers plan great vacations. Here are some tips on how to use your Listing Page to attract more travelers to your business - Gibraltar Botanic Gardens (The Alameda). Promote your permanent link - https://www.inspirock.com/gibraltar/gibraltar-botanic-gardens-the-alameda-a720754765 - on your website, your blog, and social media. 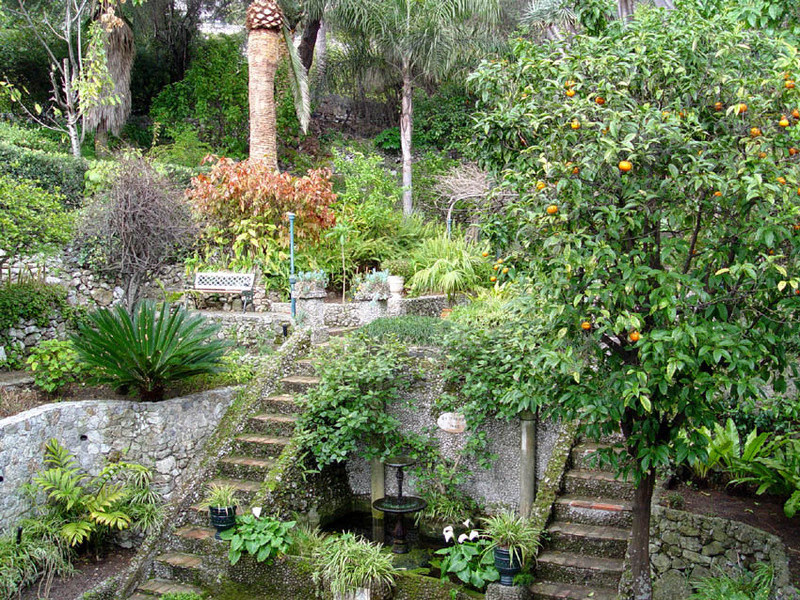 When a traveler builds a plan from this page, the itinerary automatically includes Gibraltar Botanic Gardens (The Alameda). This is a great way for travelers looking for a great vacation in your city or country to also experience Gibraltar Botanic Gardens (The Alameda). Promoting your link also lets your audience know that you are featured on a rapidly growing travel site. In addition, the more this page is used, the more we will promote Gibraltar Botanic Gardens (The Alameda) to other Inspirock users. For best results, use the customized Trip Planning Widget for Gibraltar Botanic Gardens (The Alameda) on your website. It has all the advantages mentioned above, plus users to your site can conveniently access it directly on your site. Visitors to your site will appreciate you offering them help with planning their vacation. Setting this up takes just a few minutes - Click here for instructions.